Action-cam maker GoPro announced a recall of its new Karma drone after the company discovered that a small number of units lost power during operation. GoPro indicated that it is investigating the issue, but stresses that even if your Karma drone appears to operating normally you should cease using it immediately. 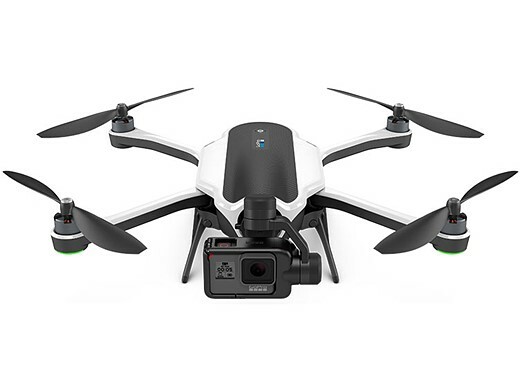 The $799 Karma, GoPro’s first drone, just became available on October 23. The company reports that approximately 2,500 units have been sold to date, and that it plans to resume shipment of the product as soon as the issue is resolved. If you own a Karma and need more information on the recall you can find FAQ and return instructions here. 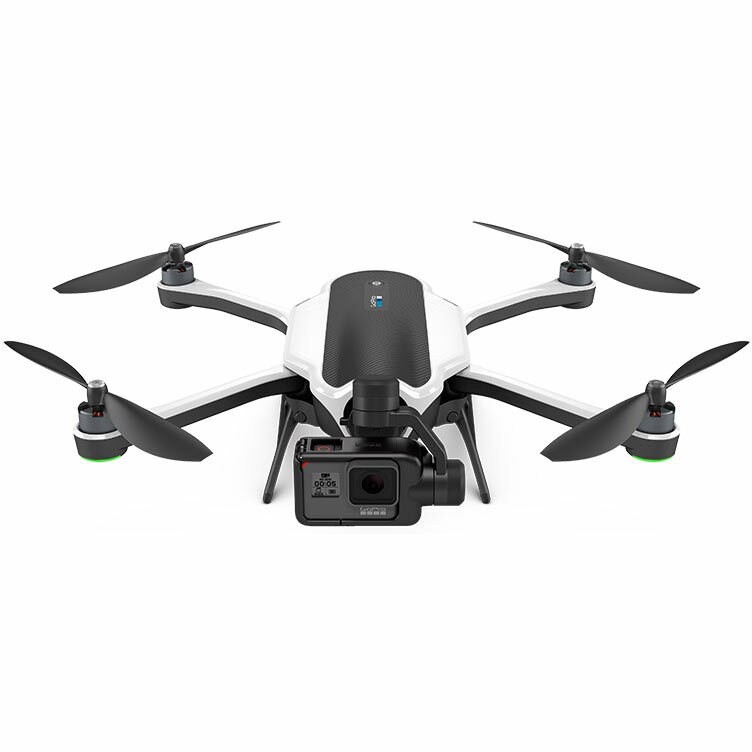 SAN MATEO, Calif., Nov. 8, 2016 /PRNewswire/ -- GoPro Inc. today announced the recall of the approximately 2500 Karma drones purchased by consumers since October 23. The recall was announced after GoPro discovered that in a very small number of cases, Karma units lost power during operation. No related injuries or property damage have been reported. Owners of Karma can return their units to GoPro, or their place of purchase, for a full refund. Replacement units are not being offered. GoPro plans to resume shipment of Karma as soon as the issue is resolved. "Safety is our top priority," said GoPro Founder and CEO Nicholas Woodman. "A very small number of Karma owners have reported incidents of power failure during operation. We have moved quickly to recall all units of Karma and provide a full refund while we investigate the issue. We are working in close coordination with both the U.S. Consumer Product Safety Commission and Federal Aviation Administration. We are very sorry to have inconvenienced our customers and we are taking every step to make the return and refund process as easy as possible." Go pro are finished their drone looks basic compared to the mavic, my 60 dollar Sjcam does better photos than its latest hero 5 (16 mp+raw) and the video from their high end hero 5 isn't any better than the hero 4 video from over 2 years ago. And barely any better than the myriad of cheap cams out there at a 3rd of the price. Hmm, I doubt they would recall these guys unless it was a big issue. At least they were proactive. Their over all problem is that despite years of new models they still have not included very basic features which are found on other action cameras like direct power input or video output. There pretty much done as a company. There stock tanked and reality is they are not in a good position to compete. They had the market when they were first introduced but haven't had another innovations since. They made big investment into a social sharing strategy failed, their drones are falling from the sky, all the while competition has been eroding their key market. They are (were) kings in a market segment but the competition has deeper pockets and can pull money from other revenue streams. Nice while it lasted. They're..... Their....How can you get it so wrong then get it right further in the post?! There are several entertaining videos on youtube. Search for Go Pro Karma Crash. One has the flyer running out of the way as the Karma comes crashing down right at him. So, GonePro is very happy to see the first case b/c the first one can not bring/find the Karma to store to get the refund. With all the pressure on GoPro right now I am sure they will refund the money to keep things quiet. Even more so after the video is on YouTube. I think it'll be pretty difficult for the Karma to sell after this recall, so I wouldn't be suprised if the plan to resume shipping is cancelled. It's biggest competitor is the DJI Mavik, and the Mavik is more compact and portable than the Karma. Yes, because no product has ever survived a recall before. it´s not only recalled kid..... it´s a bad product overall. I'm loving my DJI Phantom 4. As today market opening, GoPro's market cap is $1.44B USD while DJI is 7 times over with market cap $10B USD. For the ones that lost power (CRASHED), were the photographers riding on them? Did the photographers parachute? Hopefully not over some thorny cactus in southern Arizona. OK, just a Thursday humor! :-) .. I am not, and will never be a fan of GoPro. Sad news to me. I know they've been in trouble for the last year but I love GoPro for what they've done for all of us and keeping my fingers crossed for them. Did they not test the thing? Bunch of crash videos are already popping up on Youtube. It appears that this one fell near to someone: https://www.youtube.com/watch?v=yvtttyMnNKk RIP GoPro. Lost 337.74M in a year with 224.89M in cash, GoPro is better to just give all the cash to its workers for a marry x-mas, and close the door after New year. Why are they losing so much money? I thought GoPro is successful company. They were a successful company when they were the only real option in their particular product category. But now that you can purchase sports cameras at a quarter of the price, often with equivalent or better features, they're tanking. "But now that you can purchase sports cameras at a quarter of the price, often with equivalent or better features." Pray tell which brand offers a better product at a lower price than the GoPro's? I'm seriously curious. In the compact sports cam market, GoPro's are still the leader of the pack. Other brands don't have flat profiles or as high a DR as GoPro. I'm not saying GoPro's can compare with a Sony A7S2, but in its market, it has no competition at its price point. Its a pretty small market and not one your likely to upgrade as quickly as other technology products. You may be right for a film maker the GoPro may be the best. How many of those do you think there are? As a consumer if a similar one is 20-30% less I probably buy it, cause in reality how often does it get used when I have a video studio in phone. So its a small and shrinking market, and they are a one trick pony. The stock was way overpriced and they haven't had another innovation or been able to add market segments to their product. Best or not, they still sell plenty of them and have decent margin. So why those losses? Did they miscalculate profit from sales and overspend on advertising? I mean, how can they lose so much. @Paul Guba, you're completely missing my point. The guy above me said that for the same price there are better equivalents, and I asked which ones. It doesn't matter if it's a big or small market, the question remains: what brand sells a sports camera that does better at a lower price? I'm still looking for that answer. If someone shows me a viable alternative, I will not hesitate to switch. Your response didn't remotely satisfy the inquiry, you just told me GoPro is going bankrupt and I should not buy their stock. LOL. This is marketing its not about reality. If this guy believes they are as good or better then guess which he buys. That's marketing. GoPro saw huge growth since they were the first to enter the market. Basically they owned it. Not the case anymore. There avenues to sustain growth haven't been successful. So they are left to defend a market with much of their competition having deeper pockets, greater resources. The infusion of money they got from going public is mostly gone. All those things considered their stock tanks, and they won't have money to innovate or market. Done. And I'm still waiting for someone to tell me what better options there are in the sports cam sector. The spec sheet is not marketing, it's reality. If a camera can do 4k with 13 stops of DR and offers a flat profile, then has wifi and live streaming capabilities up to 2 miles away, then I'm making the switch. It doesn't matter how much competitors market their products, if their stuff is technically inferior, that's that, unless they falsely advertise their stuff to shoot 8k@1000fps@ISO256K without noise. Recalled products. Horrible reviews. Major staff layoff in early 2016. Revenue projections missing plan by miles and miles. Hero 5 essentially a flop missing key features. New drone can't fly level. New Nikon action camera could win significant market share. This is a company in deep, deep trouble. I wish GoPro had instead concentrated on a gimbal stabilization platform that could be used handheld and mounted on any make of drone. That wouldn't fly (sorry for the pun) today anymore. Integration between the drone controls and the camera is now paramount, and you can't do that without tight coupling between the 2. I had considered that, but if you take DJI out of the mix, there are many companies that make a flying platform (Tarot, for example) who GoPro could have made a working relationship with. There are advantages to having a separate video controller but it would all hinge on GoPro having a superior camera product which they don't. I wouldn't be surprised if DJI went their own way because GoPro stuck with a fixed focus fisheye. >>> "gimbal stabilization platform that could be used handheld"
"Take a look @ DJI Osmo:"
Exactly...that is where GoPro should have put their energy. But in a gimbal that could be used interchangeably on the ground and in the air. That and a zoom lens like the Osmo+ They might have beaten DJI to the punch if they focussed their attention there. (sarcasm) Since Nikon KeyMission is destined to dominate the Action Camera sector, Nikon should start making drones too. Wow, Seriously GoPro you had ONE job and thats to make 100% sure everything functions to SAVE your company & you managed to screw it up! The Hero5 is a disappointment. I was hoping to upgrade my Hero4 Blacks to something worth it after a LONG 1.5 year delay. What do we get? No OIS, same quality, no new resolutions, not even Cinema 4K like the Osmo+. The lens area can even use a bigger 1/1.7" sensor which they did not use. Still fixed focus. these features are now found on the Osmo and Sony offerings. GoPro is now officially doomed. Even the new software forces me to create an account and still needs a huge amount of useability improvements. DJI it is! Get the Sony 3000. I decided to jump off the GoPro ship :/ too bad, I had two 4s and a 3+. "if your Karma drone appears to operating normally you should cease using it immediately.". It is a good advice otherwise there will be nothing left to recall. why? all abnormally one are gone/fly away, and the rest of "appears to operating normally" will fly away any way. GoPro is one huge trainwreck right now. they have been resting on their laurels for so long they didn't notice the world moving on. Their shares are down, GoPro 5 sales are mediocre and their drone is a disaster. When DJI asked GoPro make cameras for DJI's drones, GoPro said NO, and started to make its own drones. I think you have it the other way around. DJI refused to use GoPro and started making their own cameras. What if they recall it and it doesn't come back? This made me chuckle and for that I thank you. A case of Bad Karma.